Give Your Followers An Amazing Way To Learn To Use PLR To Make Money In Their Business And Earn Up To $124 Per Customer! This Entire Funnel Is PROVEN To Convert! Launch Date: This is an evergreen launch that we've packed urgency into automatically, so feel free to promote as often and whenever you want! Liz Tomey here with a proven to convert (see proof below) funnel that teaches your followers how to make money with PLR, gives them some killer PLR content, and more! The front end offer gives them four of my PLR Cash Classes for only $7. There is a timer on the page and they only have 3 days to get the offer. This is an evergreen timer and starts as soon as our lead hits the page! Once they purchase that I offer them PLR to all of the PLR Cash Classes they just bought for only $37. There is also a 3 day timer on this page to create urgency, and we follow up with your buyer to bring them back to this page to buy to help you make MORE sales! And finally after that purchase I offer them an install service where we will set up the PLR they just bought for only $197. We have a follow up system put in place to get them to come back and buy so this helps you have a better chance at making the bigger commissions on this offer! All of this gives you a chance to earn $124 in commissions per lead you send! The complete funnel and more information is laid out below. Here's Proof That This Funnel Converts! I have tested the funnel with cold traffic and if you look above you'll see it's converting. I'll be updating with conversions from affiliates soon. What I teach in all of this combined is a full on education in using PLR in 20+ ways... Your people are going to love this and it's super inexpensive for them! Your followers are safe with me! I take good care of my customers and I'll take good care of yours too! We even have a mastermind group on Facebook to help them with anything related to PLR! Subject: 4 Workshops For PLR Success – ONE Price! So I’m going to make this short and sweet today because I don’t want you to miss out. Liz Tomey who is known as the Queen of PLR because of the massive amount of success she’s had with creating and using PLR just released a 3 day special where you can get 4 (yes FOUR) of her PLR Cash Classes for ONLY $7! These are 4 complete classes teaching you EXACTLY how she’s used PLR content over the last 10 years to make a ton of money in many different ways! You’ve only got three days to take her up on this offer. After the 3 days you’ll pay $47 for EACH class, so make sure you grab all three right now for only $7! Subject: Serious Results With PLR Content – Blown Away! So just about anyone knows what PLR (private label rights) is, and if you don’t you’re in for a treat because if used correctly you can cash-in big time! So PLR content for those who don’t know is content you can take and use as your own in just about anyway that you want. My friend Liz Tomey has been KILLING it for years with PLR content. She’s create blogs with PLR content and monetized them in a ton of ways. Affiliate links, ads, etc. She’s taken and rebranded PLR in tons of different niches and created a HUGE product empire that passively pays her. She’s used PLR content to build lists in several different niches and makes-money from those lists on autopilot. I could go on and on here, but this girl has been doing this for years, and now she’s revealing it ALL! She’s giving you all FOUR of her PLR Cash-Classes for only $7, but it’s only for the next 3 days! If you’re looking for ways to take ALL that PLR on your harddrive and turn it into-cash then don’t miss this! And if you don’t have any PLR… No worries! She even tells you where to get the best PLR around. If you want to learn from someone who is actually making-money with PLR so you can do the same thing I can’t recommend these four classes enough! You’ll see Liz is a great teacher who will teach you everything you need to know, and be right there to help you when you need it! And I’ve just found one heck of a deal for you if you’re looking for ways to make-money with PLR content! PLR (private label rights) content has been around for years, and there’s a good reason why. When you actually learn the RIGHT ways to use it, you can make a ton of-money with it. And there are sooo many ways to use it that I can’t think of a single online business model that wouldn’t profit-from it. BUT… As I said… You’ve got to know the right tactics, strategies, and techniques to truly use PLR content successfully, and now you can with this amazing deal I found for you! Liz Tomey, who is known as the Queen of PLR because of the massive amount of success she’s had with creating and using PLR just released a 3 day special where you can get 4 (yes FOUR) of her PLR Cash Classes for ONLY $7! These are 4 complete classes teaching you EXACTLY how she’s used PLR content over the last 10 years to make a ton of money in many different ways, and you can take what she’s doing and apply it in your own business! And at only $7 this is a total no-brainer of a deal! I mean ALL of Liz’s knowledge is packed into these classes, and she’s known in the industry to go above and beyond for her customers so you’re not only getting a steal of a deal on the training, but you’re actually getting someone who knows what they are doing to help you! So take a few minutes, see what all she’s including, and grab this today before the special price is gone! You can’t lose with this one! Subject: The Best Shortcuts For Your Business! I have something you may not know about today and it is one of the BEST shortcuts of all for your online business. Private label rights content… Or as some call it PLR content. It’s an amazing shortcut because you can get the PLR to all kinds of stuff like video tutorials, articles, complete products, and so much more and then take that content and do just about anything you want with it including claiming it as your own content. 1. Build a product empire that you can make-money from over and over again with VERY little product creation work involved. 3. 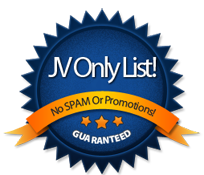 Create free-offers quickly and easily that you can use to build HUGE email lists that you can profit-from over and over again! 4. And about 1000 other things you use content for in your business. The problem is learning the strategies to really use PLR in profitable ways. But I have the end all fix for this!